Mustaches are a funny thing. The hair some people can grow on their upper lip has taken on a cultural persona. What exactly do Mustaches want? What are they about? What do they eat? It really doesn't matter, they just look good on everything from Keychains to bags of Chips. 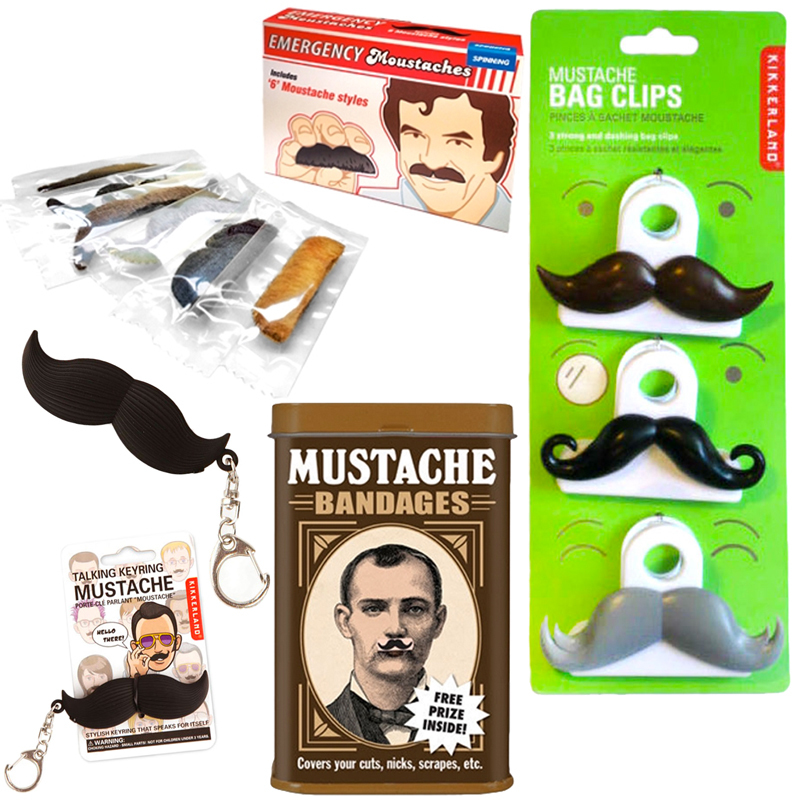 In this Collection you'll find (4) assorted mustache gag gifts!